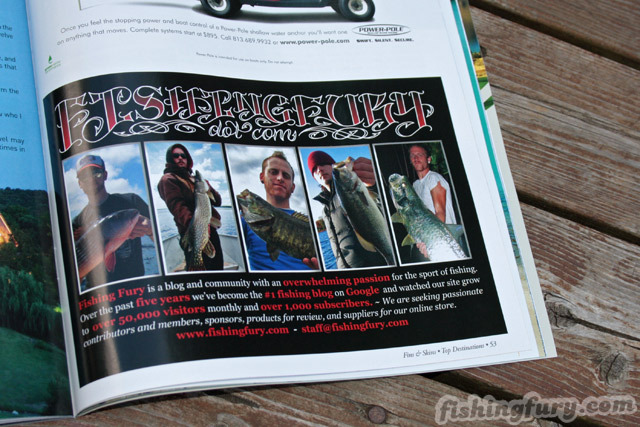 Category: La Paz, Mexico | FISHING FURY - A Fishing Blog with Attitude! 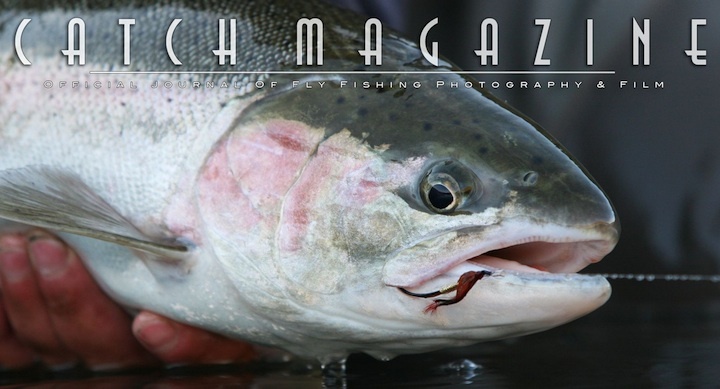 Catch Magazine is back again with yet another great edition! 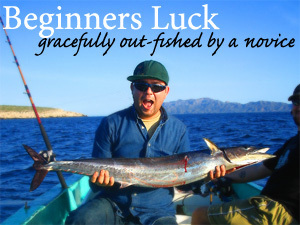 There’s also an editorial about fly fishing on the Baja. 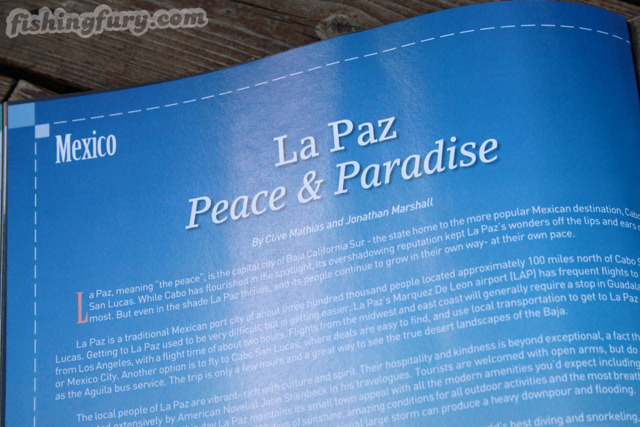 They even mention La Paz, the city Clive and I lived for a year. We didn’t do any fly fishing, but we did catch Wahoo, Tuna, Snapper, Roosterfish, even a marlin! 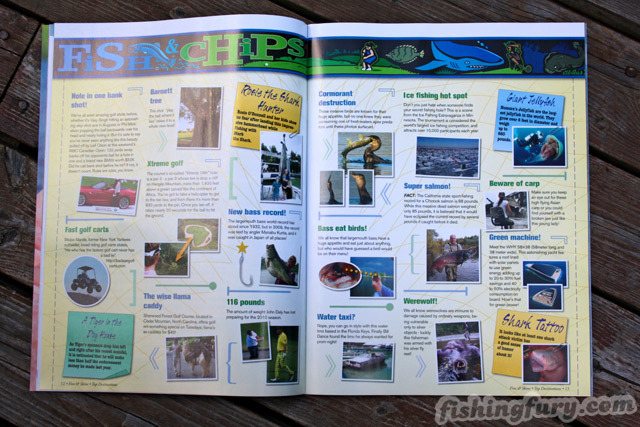 The story and photos of blue skies, green water, and red salsa really take me back. Enjoy! Several months back, we were contacted by one of the biggest names in Canadian fishing, Henry Waszczuk. 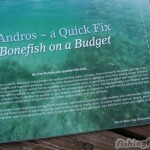 He liked our site so much he asked us to do some piece work for him in his yearly publication of Fins + Skins, a top notch travel, golf and fishing magazine. 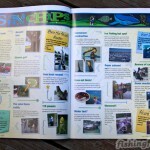 Naturally, we jumped at the opportunity and I just got a copy of the latest issue in the mail. 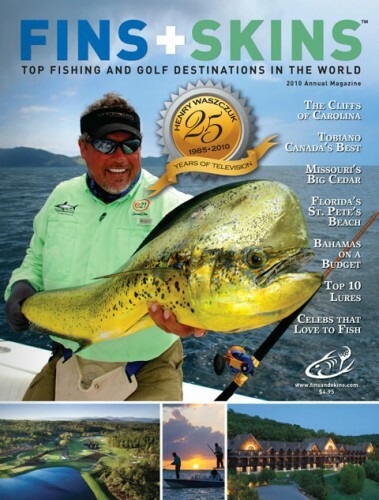 This issue celebrates both Henry’s 25th year on television and Fishing Fury’s first editorial in a magazine! 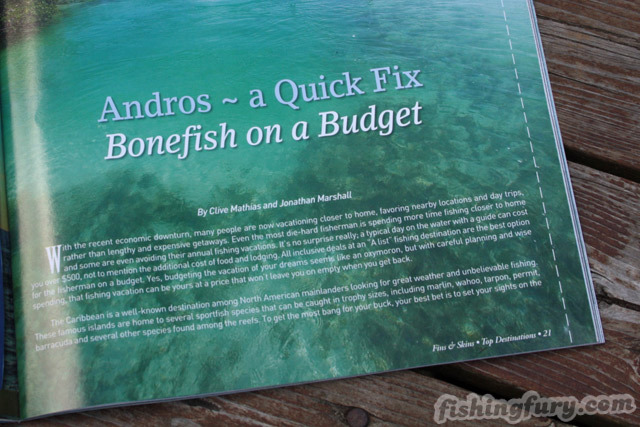 Jon and I put our minds together to write two articles, one about our adventures in La Paz, Mexico fishing the Sea Of Cortez, and the second about fishing for bonefish in the Bahamas on a budget. 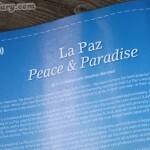 In addition, we made several contributions throughout the magazine. Stay tuned for your chance to get a copy!